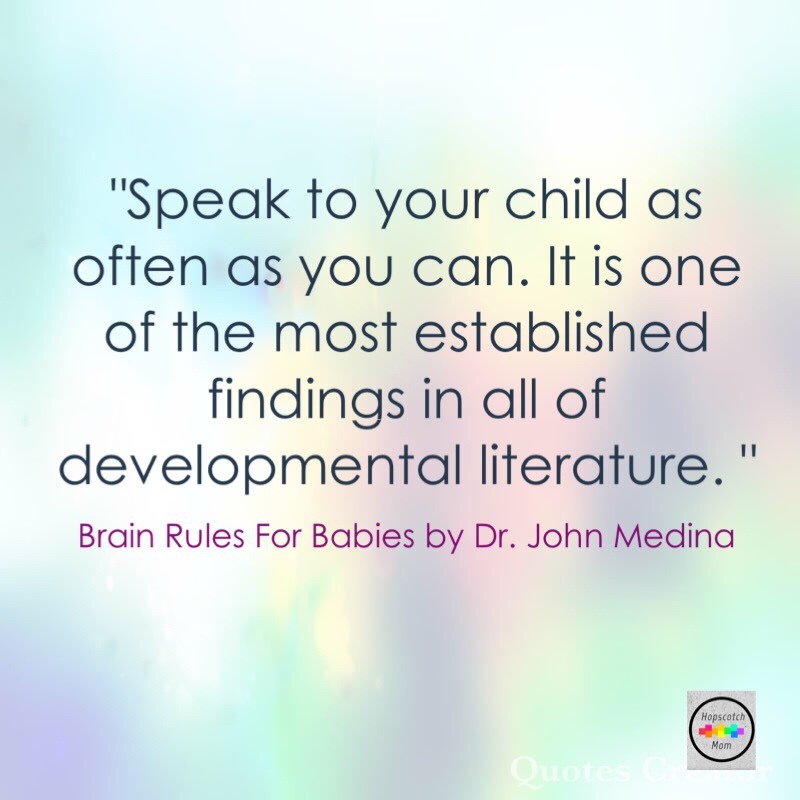 In John Medina’s book, “Brain Rules for Babies,” he speaks about how talking to your child(ren) can increase their IQ. As we drove by an empty park, one of my kids said to me today, “Look! There’s a park.” Well, what are you supposed to say after that, “Yes, it is a park.”? Sometimes parenting can be tiring; and you just let them speak and observe and not have to say anything at all. Other times, you can use it as a prompt to have a little conversation with your child. What they share, means it somehow intrigues them. How can we speak more to our children? We can add on, “Yes, it’s a park. I wonder why it’s empty? Do you suppose it could be the rain? If children were to go to the park today, the slide could be wet and maybe the children and their clothes would get wet too.” Even though this time around, I modeled myself thinking out loud; there are other times, I pave way for my children to add on to their own thoughts and I am the one who is listening to their perspective on the observation they just made. When we listen and speak to our children, we are showing them we have time for them; that what they chose to share with us is respected and valued; that they matter; that we care. When our children speak to us, they are often trying to make self to world connections; it’s how they grow themselves; it’s how they learn empathy; how the world works; how to be curious and confident explorers; and how to learn how to deal with adversities. Speaking to your child can be viewed as playing a mental game of Tag. Sometimes, they’re it and you run with what they say; you try to catch on to what they are trying to tell you and want to share with you; their thoughts on what’s interesting in the world; the world through their lens; sometimes you’re it and they try to follow you and try to internalize what you are trying to model and show them about how you view the world. Reflect on anything you said to your child today. Did you really “speak” to them or engage in some kind of simple or elaborate talk?